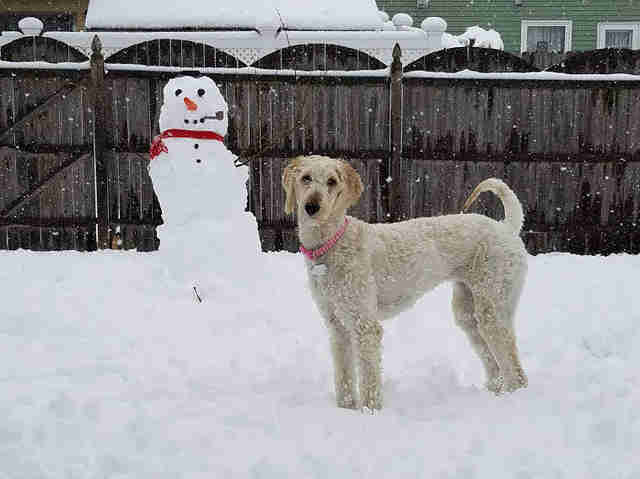 When rescuers finally found Molly the goldendoodle in January, it seemed she had been living alone in the woods for months. 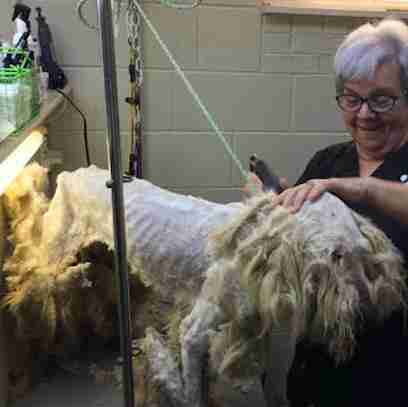 Under a thick cloak of matted, tangled fur, the 2-year-old dog was so emaciated that her bones were protruding all over her body. She was skittish of everyone — and so hungry. 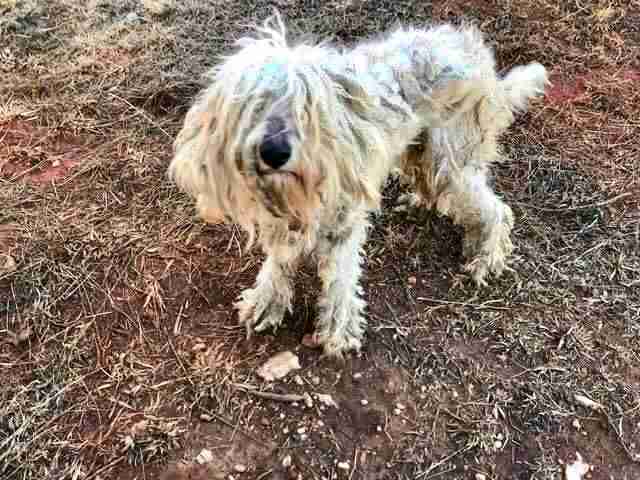 Rescuers with Wilson County Humane Society rushed her to an animal hospital, where they truly realized the extent of her condition: Not only was she skinny and matted, but she also had an array of inedible objects in her stomach from eating anything she could to survive. Molly was able to pass the items on her own without surgery, but still needed around-the-clock care to regain her strength. Molly was also given a much-needed haircut, which removed nearly 6 pounds of matted fur. 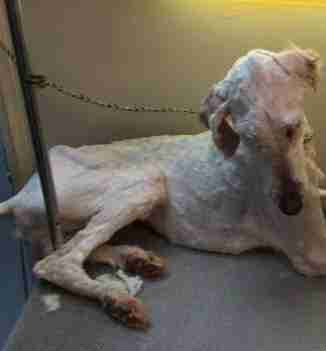 Her legs were so matted that she needed to be sedated to finish the work. After a complete shave-down, she weighed just 24 pounds — less than half of what her healthy weight would be. 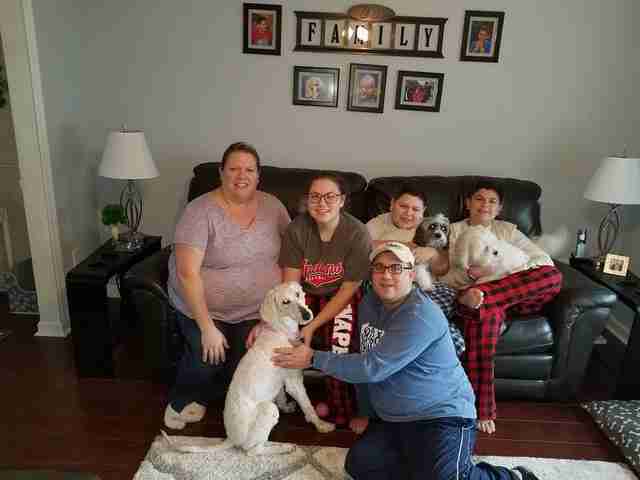 Noticing that the dog was in need of a foster, Burlington County Animal Alliance in New Jersey offered to take over Molly’s case and bring her up north once she was well enough for travel. Luckily, it wasn’t long before Molly was ready to board the Flying Fur Animal Rescue airplane to New Jersey. Cuddled up in the passenger seat, Molly relaxed during the journey, often lifting her head to peek out the window at the world below. 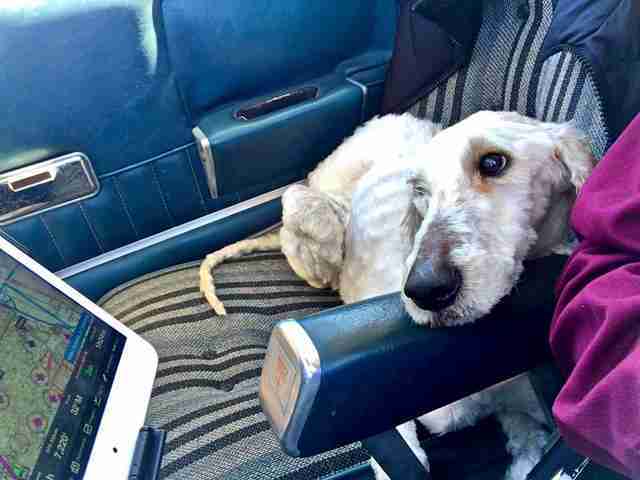 At the end of the trip, she gained enough courage to give a tiny kiss to Paul Steklenski, the pilot and founder of Flying Fur, before being handed off to Nocito. After three weeks of playing, going on walks and satisfying her growing appetite with tasty food, Molly was ready for a forever home — and had the perfect one waiting for her. 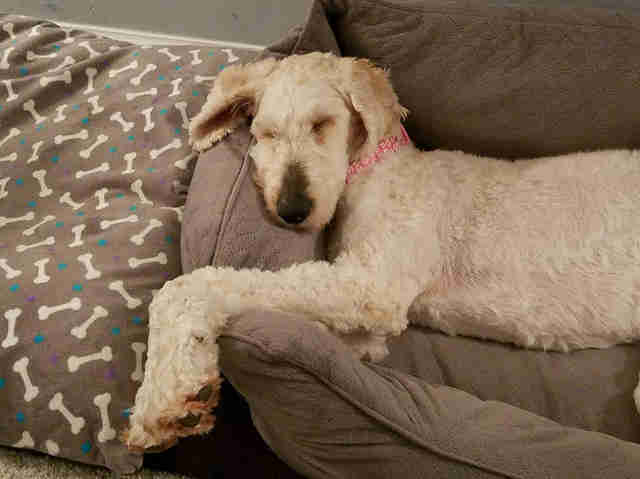 After her time living alone in the woods, Molly was still a bit timid — but having the family’s three kids and two other dogs around really helped her to relax. Today Molly is completely healthy and full of energy, and spends her days running around in the yard with her fur siblings and going after every toy she can. 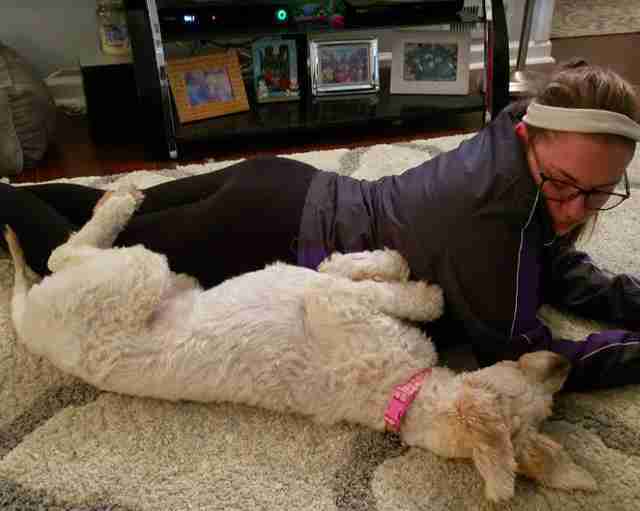 She’s a far cry from the sickly, matted dog found wandering the woods just three months ago — and looking back, Sgroi can’t help but feel grateful for everyone who helped bring Molly into the family. To help more homeless pets find the homes they deserve, you can make a donation to Burlington County Animal Alliance and Flying Fur Animal Rescue.